Do you ever have trouble making conversation with others even though you consider yourself to be a very intelligent person? If so, this may puzzle you. You may wonder why you are so poor at making conversation with others, even though you are very smart, and you know a lot of interesting things. 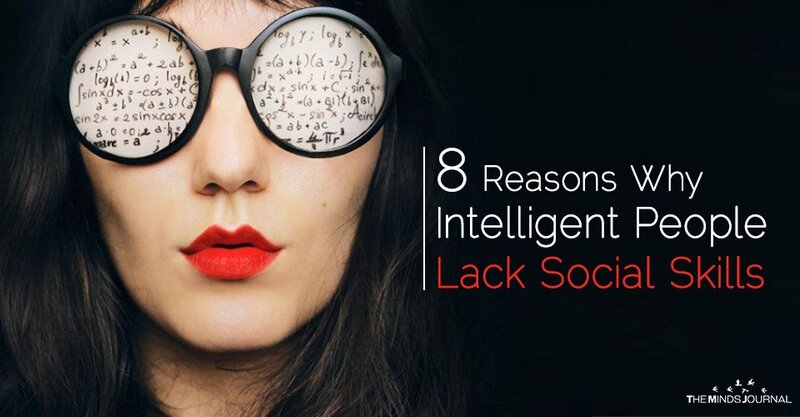 The truth is that social skills and intelligence don’t necessarily go together. Why is it that some very smart people can be so socially inept or socially awkward? Through practice. Doing something over and over again is what allows you to develop a skill. Sure, there’s some basic training you NEED to go through, but to go from being bad to good in a skill… you’ll have to put in the time and effort.Yet there’s a lot of socially inept people who don’t treat social skills in this way. Instead they look for the one last magic piece of information that will solve all their problems. And you don’t get them by THINKING about them, you get them by GETTING them.This means you’ll learn more by in 2 hours of actually getting out of the house and talking to people than you will in 20 hours of “education”. It’s because being social and contributing to a conversation is not a problem to be solved by thinking. It’s more about an energetic and spontaneous expression of how you’re feeling. You should rely more on speaking from your GUT feeling and instinct instead of trying to carefully plan and think through everything you say. If you can’t think of what to say, you probably go on thinking and thinking and thinking. Taxing your brain to come up with some good and interesting conversation topic to talk about. Never realizing that THINKING TOO MUCH is the main reason you have a problem speaking up more to begin with! Your mind is designed to remember the past or simulate the future to help you survive in life. Smart people take this future simulating and risk avoiding nature of the brain way too far sometimes. How? By coming up with all of the reasons why everything will not work when it comes to social situations. For example, maybe you want to ask a girl out on a date. But then your mind imagines and you create an awkward silenceand then you say “Hi”… And you imagine her saying “No”… and then her telling everyone else in the world about what a loser and a creep you are… and then you have to see her every day still and try to avoid feeling super awkward. And finally you dont ask her out. 4. Are you getting the picture here?